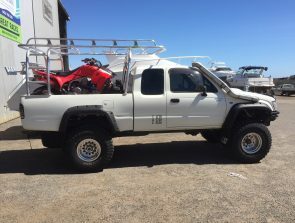 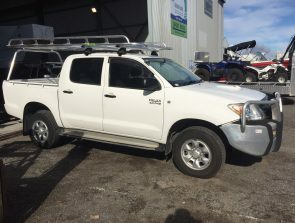 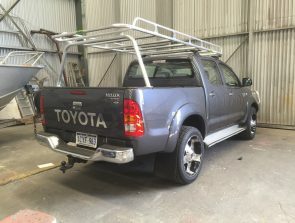 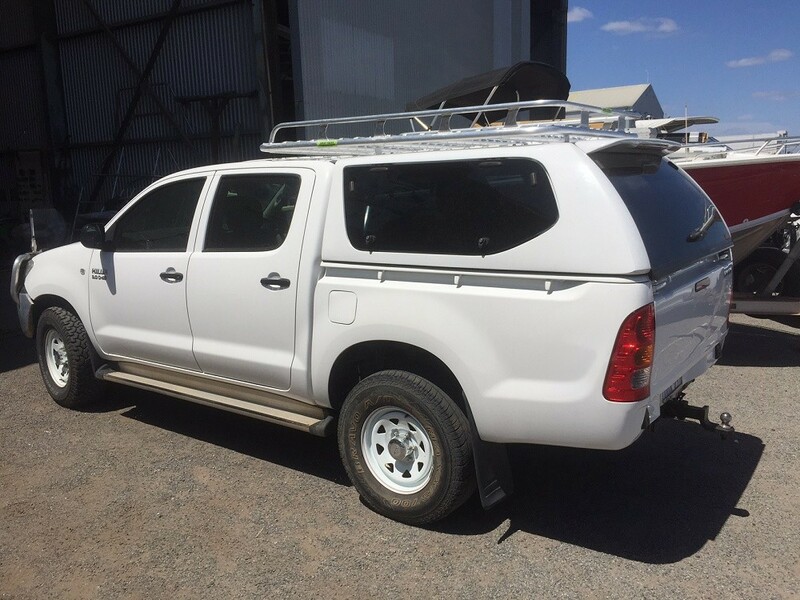 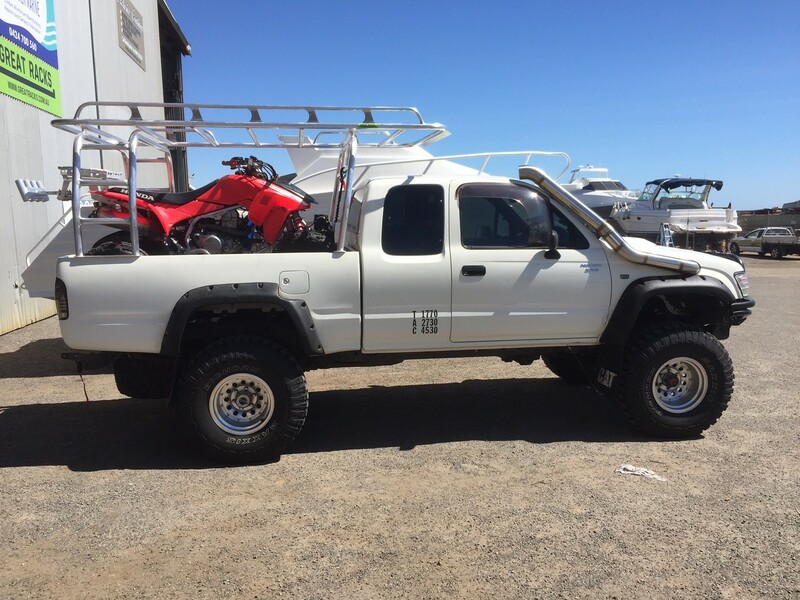 Looking for a reliable and skilled aluminium fabrication specialist to custom build Toyota Hilux roof racks? 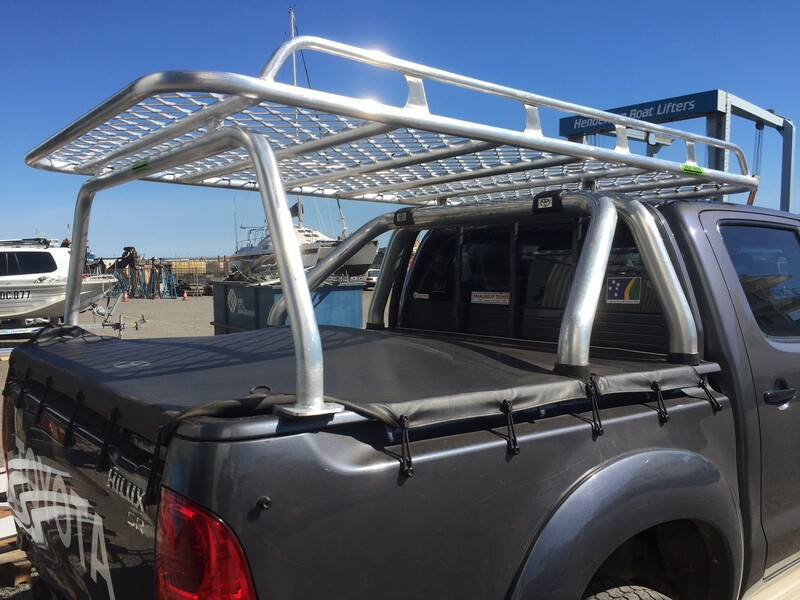 Well, look no further than Great Racks. 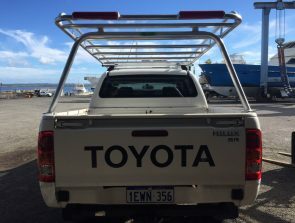 Our knowledgeable and experienced team specialise in designing and building Hilux racks that are strong enough to withstand the demands of your trade, your adventures and your load. 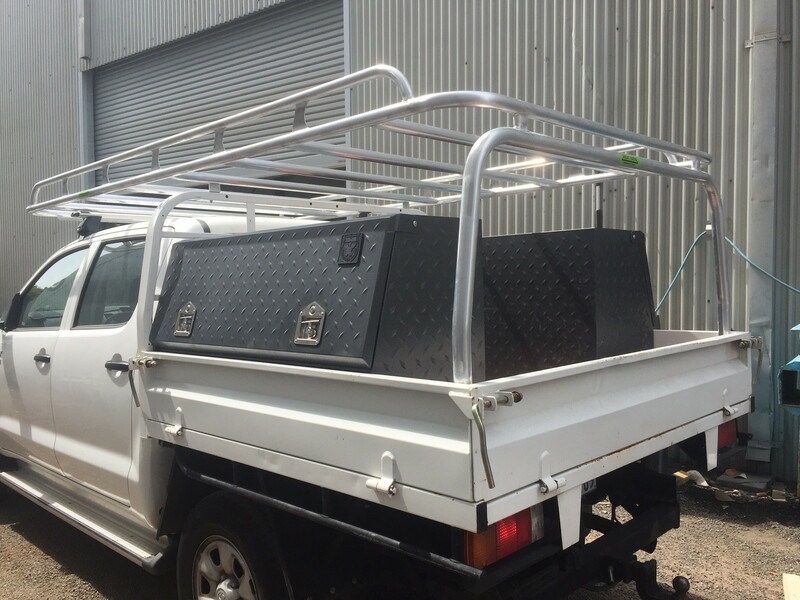 We build our roof racks to suit our customer’s specifications and use only the highest quality materials in our fabrication. 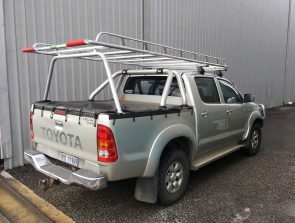 We consult with our customers to ensure that the design of your roof rack is purpose built and will best suit its use. 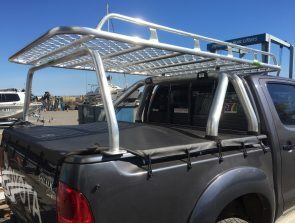 We can add many features such as an amplimesh floor for camping enthusiasts with smaller items to store or add hooks for plumbers to hang hoses. We can make our racks with underslung rails if you need to load your Hilux roof rack with a forklift or if you want to slide ceiling sheets or rolls of carpet up there. 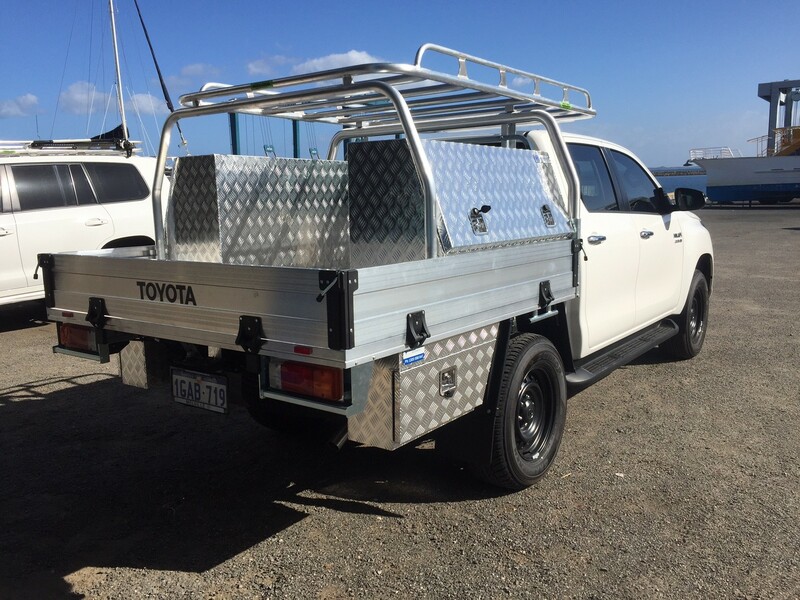 We add rear rollers for our tradies to load up ladders or for our boaties to load up a dinghy. 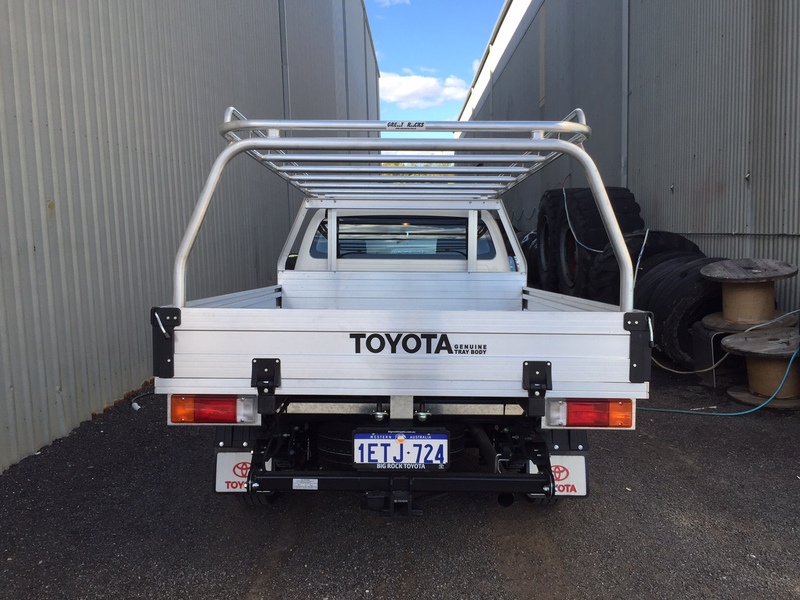 We add brackets to mount up lights and awnings for our 4WD fans. 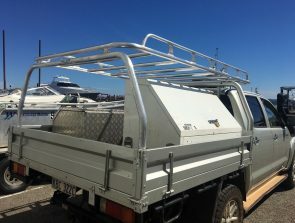 We even supply and fit electric winches to aid with loading your roof rack with a boat or kayaks. Here at Great Racks, we are dedicated to delivering quality Hilux roof racks and other aluminium fabrication products to our clients. Over the years, we have successfully completed thousands of aluminium fabrication projects and have built a solid client base. 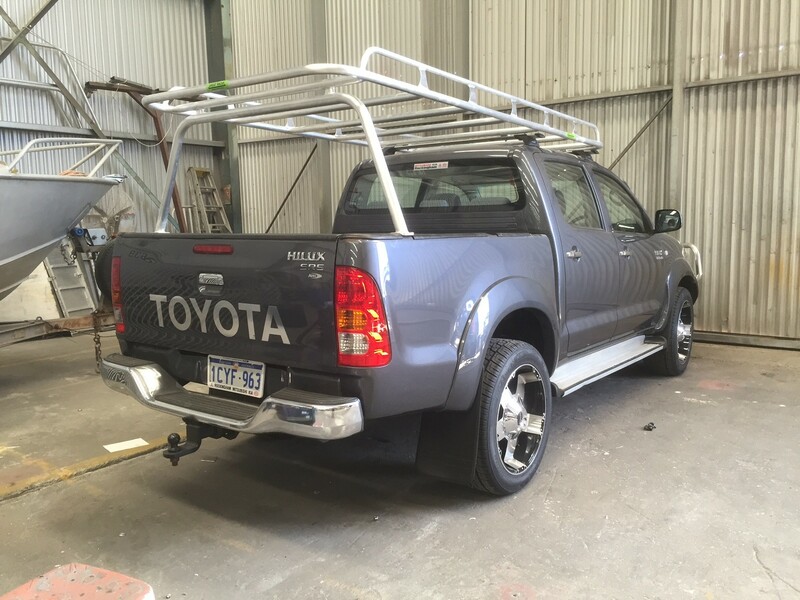 We complete our projects accurately and in a timely manner. 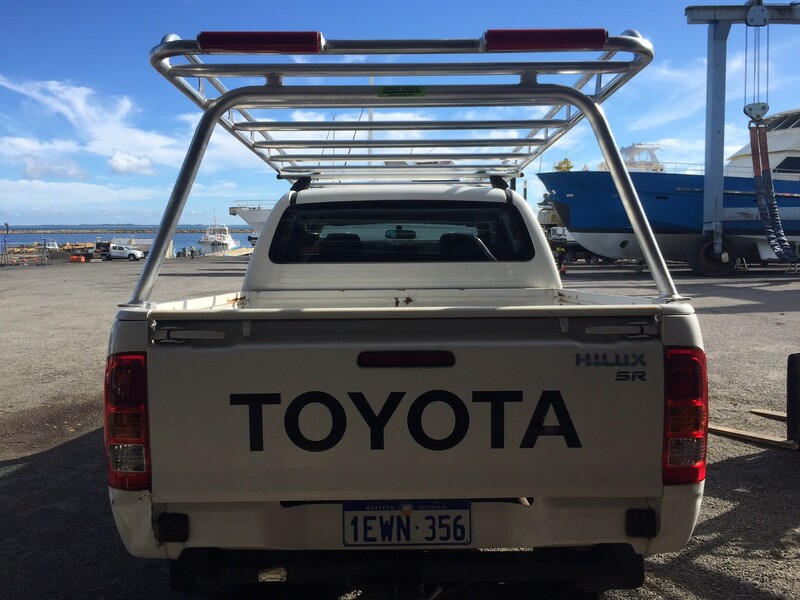 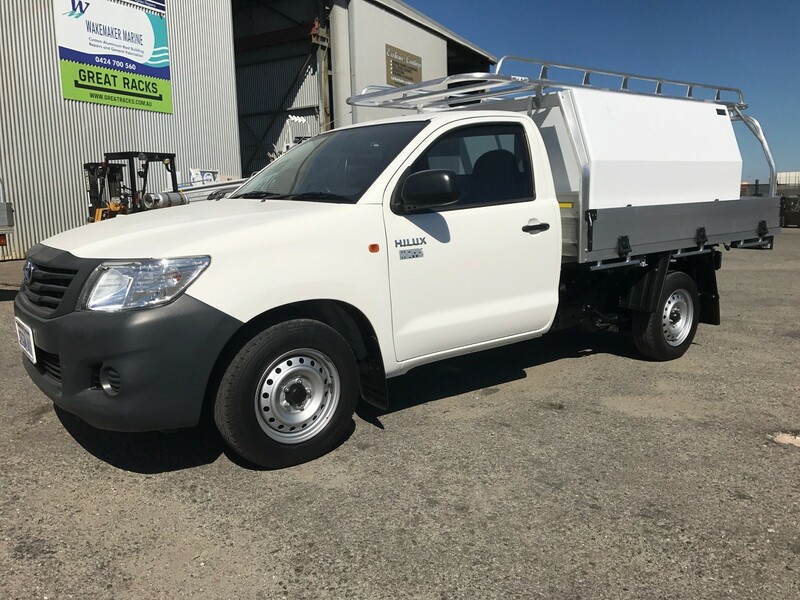 With our same day service and courtesy vehicle available, call us today on 0424 700 560 for a free quote for your Hilux roof rack.